Best tips on how to stretch shopping dollars! 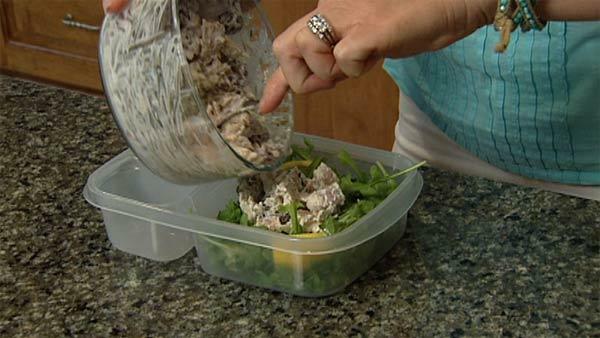 Discover how cheap and easy it is to replace prepackaged meals with ones you make yourself. "It's kind of a new phenomenon to have one on every street corner where you can pop in on your way to work for your lunch break," said Gabrielle Welch, author of "The Pizza Trap." Convenient, yes. Affordable, not always. Nutritionist and author of the book, "The Pizza Trap", Gabrielle Welch says there are easy ways to do this yourself. "It really is not as complicated as you might think. I tell a lot of my clients, in 20 minutes and planning you can make a really great meal," said Welch. We bought three meals from different healthy "to-go" meal places in town. Then, we had Gabrielle make her own version, to see how much we could save. For more information about Gabrielle Welch visit http://www.gabriellewelch.com/. Due to the pre-recorded nature of this program, some prices may not be current. Please check your local retailer.